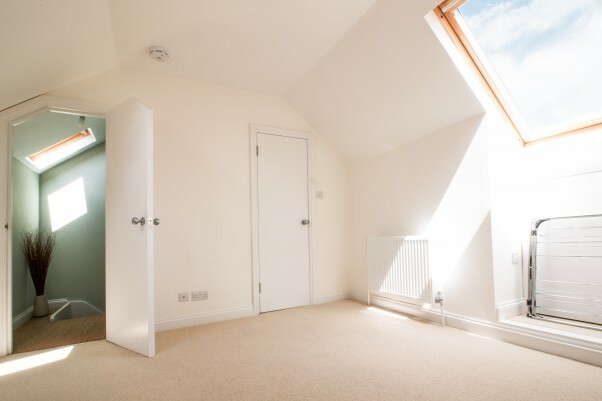 A loft conversion within your home is an opportunity to expand your living space. If an extension isn’t for you, it’s an excellent alternative and great path to go down which allows you to keep your outdoor space and provide a retreat away from the hustle and bustle of the rest of the house. We can project manage the whole build to minimise disruption and provide a smooth conversion process. It’s extremely important to us to obtain a clear understanding of your needs when it comes to desired design and functionality of your loft conversion. You may be looking for extra bedroom space, an office or simply to create a shell in order to use in the future. We can help you understand what is possible and , to do this we usually begin with an initial meeting to get to know you, see your home, and discuss general ideas you have. If you’d like to act now a great first step is by checking whether your loft space is suitable for a conversion. Most loft conversions will not need planning permission, check if your requirements will need loft conversion planning permission. Some simple room in roof conversions can be self designed, but for something more complex you’ll need to employ an architect or an architectural technologist. Once you have a design we can then assess the work to be undertaken including; plumbing, electrics, carpentry and decorating and provide you a with quote and estimated start date. We can provide a structural engineer and we will liaise with building control throughout the project to ensure the conversion meets the legal requirements. Our workmanship is of the highest standard but in fact what most of our clients have appreciated is our approach to having a clean and tidy work space, since most of our clients still occupy the homes we work in and many have children. We take particular care and take every precaution and measure that you have a comfortable living environment as much as possible while we work in your home. If you would like to discuss further, or would like to hear testimonials from some our previous clients, please do call or email us using the details below. Alternatively, find out about our house extensions.